My goal is to make a first-accent to a so far nameless peak in this virgin landscape of the Graham Land. Entertaining is the journey itself, where the ascent begins directly from the deck of the yacht, which will bring us from the Argentinian coasts, through the stormy Drake into the kingdom of ice, beauties and shadows. The inhabitants are floating icebergs wandering without a steersman, twittering colony of penguins, lazy seals and almost mythological whales. Land of free room and imagination, with white areas not only because of the white snow, but also untarnished by the human foot. The planned date is the turn of the year 2017/2018. An attempt to complete the project from 2011. 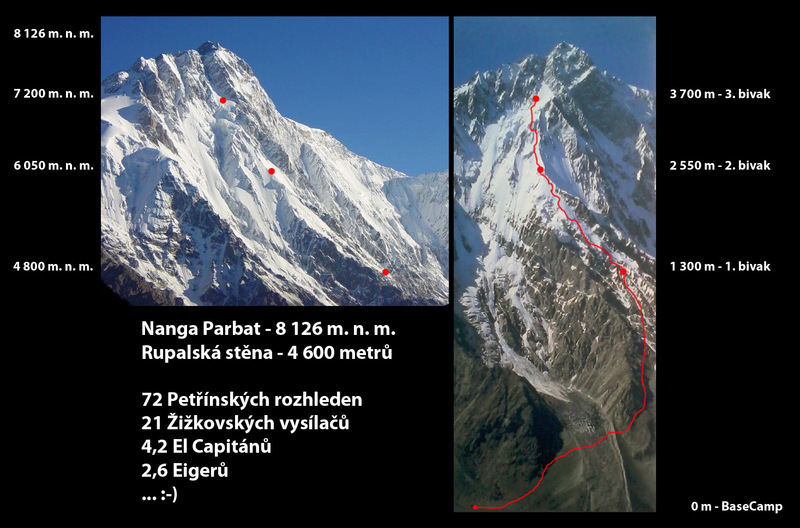 The goal is to create a new path in the Rupal southern face in alpine style. Due to the fact that Nanga, with its height of 8126 meters, is the last wall of the Western Himalayas, it has several “best of”. The first is that it owns the largest climbing slopes of our planet, and especially it concerns the extraordinary southern Rupal, which has a superelevation of 4600 meters. Another remarkable thing is the towering above the adjacent peaks, where Nanga reigns over the wide surrounding with an overlap of one kilometre. This has the advantage of breath-taking views with sharp ridges of eastern Karakoram and above the deeply drowned meander of the Indus River towards the western Hindukush. This is probably the last advantage, as her loneliness results in a sudden change in weather, and each ascent route carries the marking “difficult” as a minimum. The planned expedition date is the July/August 2018. One of the actual media projects is filming a full-length documentary with Czech Television. These are narratives and film cuts from four unsuccessful attempts to make a first ascent to the eight-thousander Gasherbrum I. and the fifth successful. The length of the documentary will be 60 min and it is planned to be released in 2019. Book "Notes of Marek the fool II." Printing of the second book in the order. 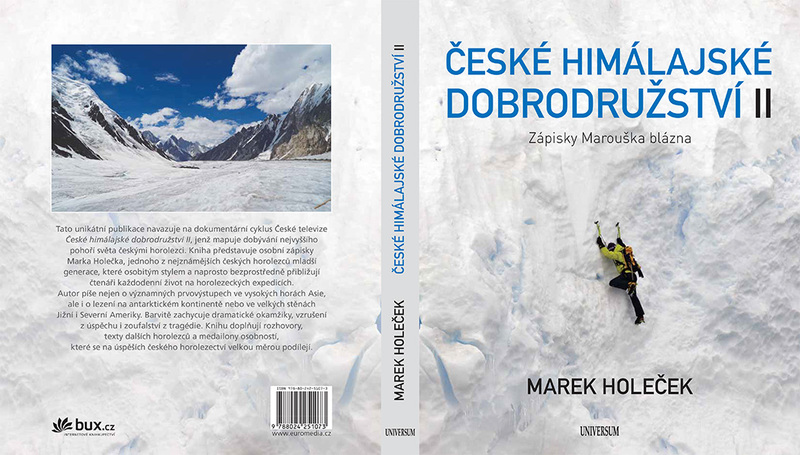 After the first, surprisingly successful book with the long name “Czech Himalayan Adventures II., Notes of little Marek the Fool” I prepare a second book covering my story from expeditions and climbing. The main topic is the completion of the first ascent on Gasherbrum I., enriched by interviews with, for example, W. Kurtyka, by the history of ascents and by other stories, all amended with pictures. The release is planned for autumn 2018.